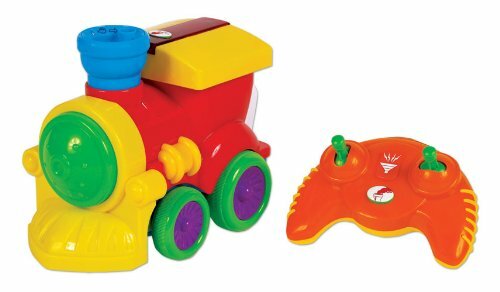 Our top selling gift for a baby boy at the half dozen kids' store is the Chug Along Steam Train with Remote Control! All Aboard! Locomotive moves forward, backward, left and right, toots it's horn, plays music and releases "steam". Enhances hand-eye coordination and introduces cause and effect. $34.99.